One of the tips for choosing safe carpet cleaning products is to understand just how important the ingredients are. When you are at the supermarket, make it a habit to read the product’s label. Choose products with safe ingredients because our bodies can absorb the chemicals it contains. We can inhale the harmful vapors or get exposed to it through our skin. This makes it a very potent source of toxic substances even if it looks harmless with its nice, innocent looking packaging. When you read the label of the product, watch out for known toxins. This can be in the form of chlorine bleach (sodium hypochlorite), phosphates, ammonia or quatermary ammonium compounds (benzalkonium chloride, centrimonium bromide, stearkonium chloride, quaternium 1-29), Phtalates, and petroleum solvents. If you see the label with these ingredients then do not buy it. Most people would go for cleaning products that smell nice. That’s because they do not just want a product to sanitize their bathrooms and other areas in the house, they also want to make it smell good. But this often comes with a price. Fragrances in cleaning products can have up to more than 3000 chemicals in its formulation. The Environmental Working Group found out in one of its studies that 14 compounds are often needed to produce the scent used for cleaning products. The next time you buy a cleaner go for the unscented ones. Spare yourself from dermatitis, respiratory problems, and allergies that are associated with these fragrances. There is a huge difference between cleaning and disinfecting. Many people choose cleaners that have anti-microbial properties. But the truth is you do not need to disinfect your home if everybody living there is in good health. The body’s immune system is often strong enough to fight microbial infections. And keep in mind that in order to make products “anti-microbial” it has to have a very potent formulation that could include triclosan, quaternary compounds, and triclocarban. If you already know of some safe cleaning products, then all you have to do now is stick with these. You do not have to experiment with other products. As long as the ones you are using now are safe and effective, no need to find another brand. You do not need to have cleaning products for every room in the house. This minimizes your need to be dependent on too many formulations. Stick with products that show their ingredients in their labels. Never buy products that have no list of its formulation. How can you know for sure if it is safe for you and your family? 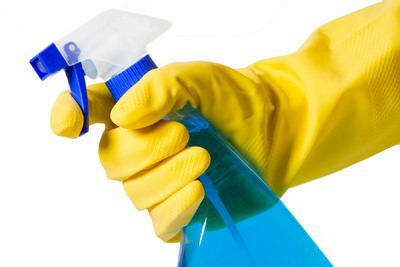 The last of the tips for choosing safe cleaning products is to check out a reliable online database that can give you complete information on cleaning products that you can safely use. You can visit the Environmental Working Group website and read its in-depth guide for healthy and safe cleaning products. To learn more tips for choosing safe cleaning products, find our products and process page here for further details: http://www.protechcarpetcleaners.com/products-process/ or call us at 604-872-7822 for more information.